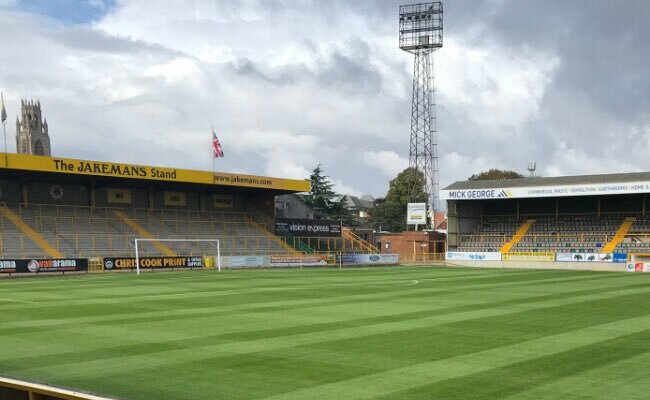 Next up for Alfreton Town during the festive period is the trip to Boston United on Boxing Day in the National League North, kick off is 3pm at the Jakemans Stadium. It's quick turnaround for Billy Heath's men after Saturdays 1-1 draw at home to Stockport County. It was a performance which was full of desire, commitment and energy as the ten day lay-off for Alfreton looked to have allowed the batteries to reset and recharge and the Reds fought well and created some great chances throughout the game on Saturday. The point will certainly be one to build on as we head to Lincolnshire with the Reds knowing that they could have taken all three against Stockport at the weekend and with renewed confidence from Saturday, Alfreton will be looking to take all three points on Boxing Day and start moving back up the league table. We head into the fixture having lost just one of our last four games in all competitions, Saturdays draw with Stockport has left us with just two wins in our last 12 league games but the draw against the Hatters was a positive one as we look to kick on and get more wins on the board in the league. We have lost just one of our last three away league games (Hereford 2-1) but in turn have only won once in our last six away league trips with our last three points on the road being at Darlington back in early September. Boston sit in 10th place in the league table, four places and four points above us. The Pilgrims have 29 points from 20 games and are just three points from the play-off positions. Their playing record stands at: P20, W9, D2, L9. Boston's last game came on 15th December at Wrexham in the FA Trophy First Round, after their fixture on Saturday at Spennymoor was postponed. The hosts head into Boxing Day having not played a fixture for 11 days. The hosts have won just one of their last six league games (D2, L3) and have lost two of their last three league games at the Jakemans Stadium. The Jakemans Stadium, York Street, Boston, Lincolnshire, PE21 6JN. There is NO free parking available at the ground. The only parking available at the ground is for permit holders and designated guests. Street parking is available — in addition to car parks in Wide Bargate. Adult x1 and Child x1: £15, Adult x1 and Child x2: £18, Adult x2 and Child x2: £30.